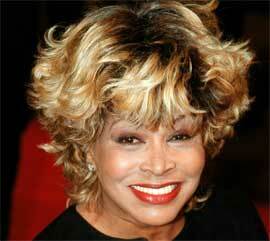 Our queen Tina Turner has been known for her great live stage performances. Although she recorded many songs through the years, written by Ike or Tina herself in the early days and later on by songwriters like Holly Knight, Mike Chapman and many many others, Tina covered also many many songs. For now we’ll focus a little more on Marvin Gaye’s huge hit "I Heard It Through The Grapevine", which Tina covered as well. "I Heard It Through The Grapevine" originally released by Gladys Knight & The Pips in 1967. The song became a hit and went to #2 at The Billboard Charts. Marvin Gaye recorded the song in the meantime as well for his upcoming album. Norman wanted Marvin’s version to be released as a single but the record label decided not to release it because it already was a hit for Gladys. They did decide to put it on Marvin’s new album. The song became a radio hit and was played over and over again by the radio stations. Popularity of the song increased within the hours and they’ve decided to release it as a single for the time being. Marvin’s version went to #1 in several charts and became a massive hit. We still hear the song on our radio’s today and it became a Legendary Soul Song according to Rolling Stone. "I Heard It Through The Grapevine" is a Motown/Soul song and written by Norman Whitfield and Barret Strong. Barret came up with the idea for the song after he walked on Michigan Avenue, Chicago, when he heard people saying "I Heard It Through The Grapevine". This phrase can be associated with black slaves during the Civil War. They’ve had their own telegraph: The Human Grapevine. The song tells us the story in a first person narrative of betrayal of the singer’s romantic partner. He or she heard about it indirectly via Gossip of other people. He or she is in emotional pain, disbelief and suffering because of the way (grapevine) he/ she found out. 1969, a year after Marvin’s success, Ike & Tina performed the song many times live in their shows. That same year Ike & Tina released a live album called "In Person" which was recorded at Basin Street West, San Francisco California. Tina’s vocals are powerful and full of soul. This song really suits her, because Tina sure knows how to find things out through the grapevine. We’re very happy to share this particular live recording of Ike & Tina’s version of "I Heard It Through The Grapevine". 30 years later, 1999 Tina announced she would travel the world one last time and retire. She recorded a new album called "Twenty Four Seven" which gave us 11 new songs. The direction she chose was very different in comparison to her former albums. More dance, more pop and even back to R&B. After her promotion tour in 1999, Tina went on the road in 2000. She took us on a journey of her career and sang songs which we’ve never would have guessed she would sing again. "I Wanna Take You Higher", "Acid Queen", "A Fool In Love" or "It’s Gonna Work Out Fine". Buttt………….we fans were all stunned when Tina came out after a short intermission to sing "I Heard It Through The Grapevine". With a stunning choreography , outfit and voice she blew audiences away with her version of Grapevine. It was perfect!! No one could top it anymore. See for yourself. It still was kinda strange why she chose this particular song. 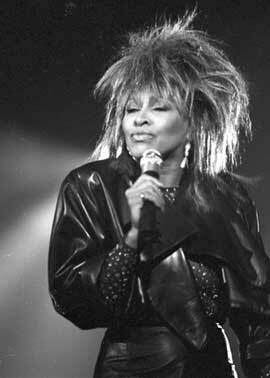 Years later we found out, thanks to another fan, Tina officially recorded "I Heard It Through The Grapevine". Most fans were still catching their breath after seeing Tina perform the song live in 2000. It seems that her recorded version was meant to be on her "Twenty Four Seven" album, but somehow it didn’t make it to the album. We think that the recorded version probably didn’t fit between the other songs. Although Tina recorded more dance songs, this Grapevine dance version felt slightly different. Very suitable for clubs and it has an Eurodance style in my opinion. This Grapevine version became unreleased and is considered as a rare gem. You can listen to it here. As we can hear we have three versions of the same song from our Queen. I still prefer her 2000 live version in comparison to the other two versions. We would like to know which Tina version you most prefer so here’s a poll beneath.